Moss was selected in the first round of the 1998 NFL Draft with the 21st overall pick and made an immediate impact on the NFL with a rookie-record 17 touchdown receptions. Moss spent seven-plus of his 14 NFL seasons with the Vikings and instilled fear into opposing coaches and defensive backs.  He ranks second in NFL history with 156 receiving touchdowns and third with 15,292 receiving yards. Moss ranks second in Vikings history with 587 receptions, 9,316 yards and 92 touchdowns. More than 40 percent of Moss’ touchdowns catches (66 of them) went for 30-plus yards. He had 46 touchdown catches of more than 40 yards. Moss led the NFL in touchdown catches in five seasons, was selected to six Pro Bowls and named All-Pro four times in his career.